Thor: Ragnarok’s talented director Taika Waititi has become well-known for his fashion sense but his Korg “costume” on set of the Marvel movie is even more interesting to look at. 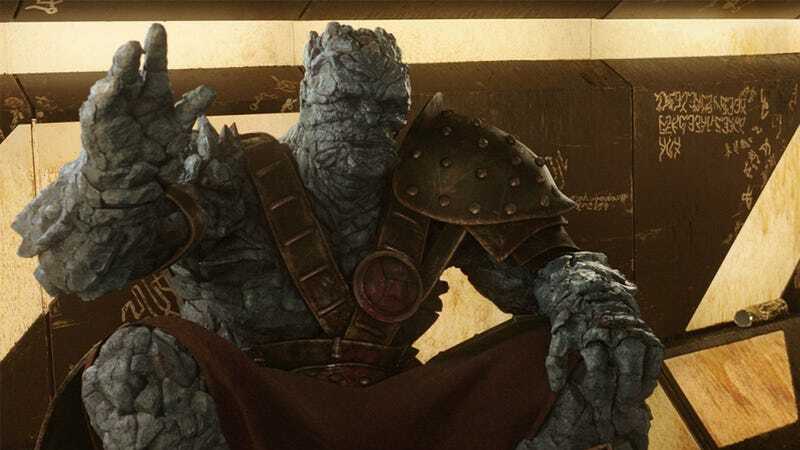 There was a lot to love about Ragnarok and while tiny warrior Miek was my favorite alien in the film, Korg comes in at a close second and that’s thanks to Waititi’s performance. I know I’d never make it as an actor because I would not have been able to keep a straight face looking at Waititi wearing a cardboard cut-out of Korg’s head as a hat. Of course Waititi, ever the social butterfly, replied.